If you have an iOS device and want to see a livestream in 360, here’s your chance. LA Fashion Week will be livestreamed in 360 through the Spinnable app, from March 17-19. LA Fashion Week is an organization that produces two shows each year, in March and October, showcasing state of the art fashion. 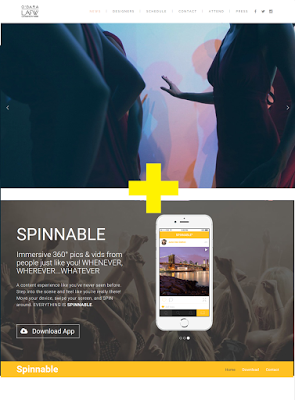 Spinnable is a social media platform for sharing 360 photos and videos. Previous livestreaming events on Spinnable have included the 22nd Nobel Peace Prize concert. The schedule of the shows from March 17 to 19 is posted here. The livestream is free to users of Spinnable. To view the livestream, users need to go to the home page on their app, which will have a red button on the top left corner when the livestream is available.